The purpose of this SITE is to provide valuable information for owners of RV’s who need help. Many typical Electrical and Mechanical problems, as well as handy numerous Repair and Maintenance tips are covered here. Decades ago, our first Camper was an old 16-foot teardrop shaped one. It had a jackknife sofa bed for my wife and I and a dinette/bed for our two kids at night. Over the years, we have owned eight other campers, from tag-alongs to Motorhomes. Each one has provided us with “learning opportunities” as we kept them in good shape. 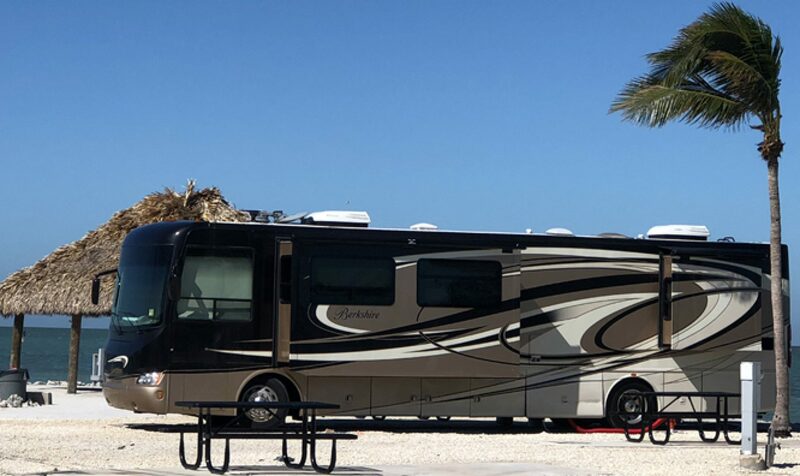 A lifetime of experience traveling and camping has taught us a lot about Rv’s. Some of the lessons were easily learned while some were financially painful, at the time. Considering our experience, I have listed many valuable facts, reference data, procedures, product recommendations, and just plain logical tips for our readers. We hope you Follow this site, and we think you will definitely find the experience valuable, and hopefully make your own Camping experience a better one. We just purchased a new camper 2017, in April. We used it once, then it has sat here on the farm out in the open, We used it this weekend only to find we have “house guests” that are not welcome. HELP. The reason we bought new was hoping we would NOT have this problem. It has the polar package also so we assumed or were told it was sealed. how do I eliminate these unwanted guests. I have put out Irish spring bar soap and peppermint oil on a cotton cloth yesterday. Thanks!! Pam – First of all, try to find the entry your pests found and figure a way to seal it, of course. If your pests are mice, read my post about removing mice, but if you’re talking about insects then, there can be several sources, and one is your black-water tank or another is often the toilet vent pipe. With the holding tank, always keep it dumped whenever you’re going to let your RV sit for a while. If its the vent pipe, if you’re going to store it, just go onto your roof and tape a plastic bag over the end, but remember to take it off when you’re ready to travel again. In fact, There are some manufacturers of the top cap that have s screen in them.